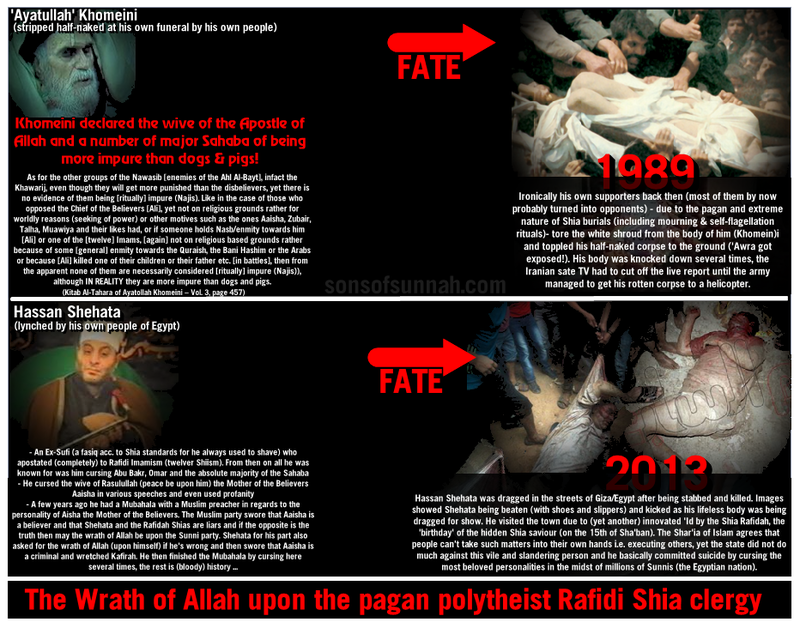 1989 it was Khomeini’s fate and (ironically) on the 15th of Sha’ban (Hijri) the so called ‘birthday’ (which is another heretical innovation and holiday celebrated by Shias,) of the hidden Shia saint and saviour (‘Imam-E-Zaman’), the vile and extremist Hassan Shehate has been lynched and dragged through the streets, similar to Khomeini. 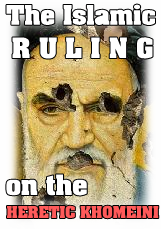 This entry was posted in Khomeini the Heretic, N E W S, The Neo-Safavid State. Bookmark the permalink.